Updates on Kidzfield 2019 coming soon! 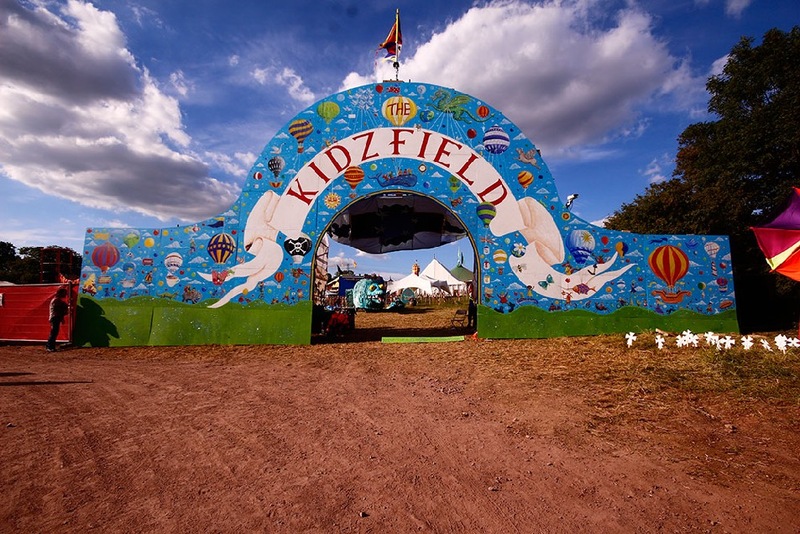 Kidzfield is the family community at the heart of Glastonbury Festival. In 2017, we celebrated 23 years of MAGIC! As always, all children aged 12 or under are admitted free to Glastonbury Festival, and all activities within the Kidzfield are without charge. In 2017, the Big Top line-up included the return of world-famous magician Dynamo and the LEGEND that is Basil Brush. Growing CBeebies superstar Mr Bloom and the Kidzfield favourites Andy, Alex and Katy, and a theatrical production of Julia Donaldson’s Room on The Broom. All activities, shows and workshops in our field are FREE! Adults must be accompanied by a child at all times! As our motto says “It’s never too late to have a happy childhood or enable someone else’s”. We believe in quality entertainment for kidz, we don’t endorse products, sell tie-ins or put on empty shows with bright colours and no nutritional value. We don’t do flyers or adverts or stalls or “pester power”.